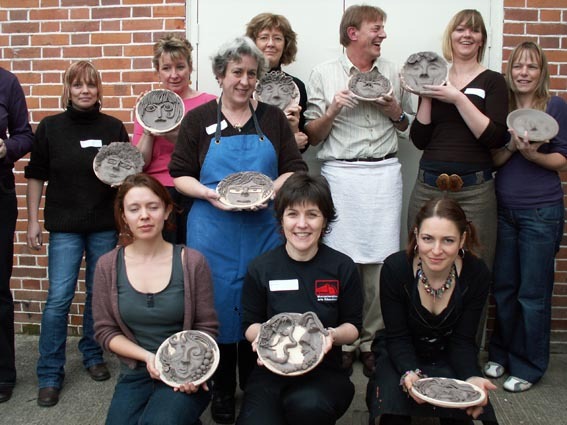 Staff have the opportunity to extend their working knowledge of clay by getting involved in the workshops. However, some schools prefer to book a separate clay training session. These informative and fun workshops can be undertaken in school or at Eastnor Pottery, nr Ledbury, Herefordshire – great for an away day or social evening! An array of construction techniques easily transferable to the classroom. Including coil pots, slab work, tiles, pinch pot sculpture and the potter’s wheel! How to reclaim dry clay and condition the soft stuff!